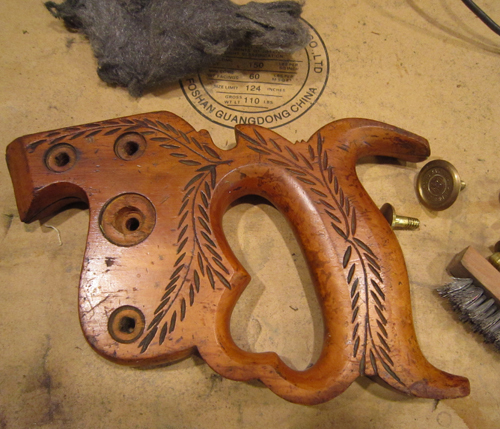 Complete Restoration Service - $129.00 : Welcome to the VintageSaws.com Online Store! Includes restoring your saw to a completely usable state. Includes rust removal, handle cleaning, hardware replacement as needed (replace standard glover style missing saw nuts if one is gone) in addition to filing and setting the teeth. 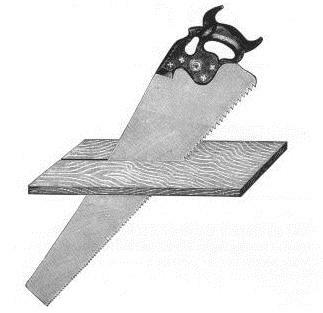 May or may not include recutting the teeth as required (most saws found in the wild require this work however). Also includes minor blade straightening. Does not include any handle repair other than cleaning and a coat of oil. Our proprietary handle finish does not alter any existing finishing, but adds to what is there to prevent further degradation. All saws sold in the past 10 years from my website have gone through this process. Price is per saw. Please note that this service does not include repair or replacement of split nuts or early style cast domed nuts or any nuts other than the standard issue, post 1887 Glover Style Domed Nut.